Attorney Brian J. Lenahan is listed in Best Lawyers in America under the category of Personal Injury Law. Brian J. Lenahan is a principal of Lenahan & Dempsey, P.C. He received a B.S. Degree with honors from the University of Scranton. 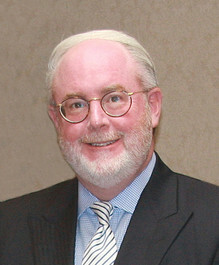 He joined the firm in 1987 after graduating from the Villanova University School of Law. Attorney Lenahan concentrates his practice on assisting the seriously injured. He has a strong interest in cases in the fields of personal injury, motor vehicle/truck accident litigation, premises liability and workers' compensation. He is licensed to practice in all local and state courts as well as the United States Middle District Court for the Middle District of Pennsylvania. Brian J. Lenahan has had numerous significant cases over his career and had the distinction of representing all of the Judges of the Court of Common Pleas of Lackawanna County in a complex appellate case. The majority of Brian's cases involve seriously injured people of all walks of life from Northeastern Pennsylvania who are in need of legal assistance and counseling. Brian J. Lenahan is a member of the Lackawanna Bar Association, Pennsylvania Bar Association, and Federal and American Bar Associations. In addition, he is a member of the Association of Trial Attorneys, Pennsylvania Association for Justice and the Committee for Justice for All. In addition, he serves on the Board of Trustees for the Scranton Public Library Committee as appointed by the President Judge of the Court of Common Pleas of Lackawanna County and has been approved to serve on the Scranton Public Library Board by the Mayor of the City of Scranton. In addition to being named to Best Lawyers in America, Attorney Brian Lenahan has been named a Pennsylvania Super Lawyer.® * as published in Philadelphia Magazine, every year since 2005. Super Lawyers are among the top five percent of attorneys in the state as chose by their peers. Attorney Lenahan has written and lectured on varied legal issues and has been a guest speaker for, among others, the Pennsylvania Bar Institute, the Pennsylvania Trial Lawyers Association and the Lackawanna County Bar Association. For more information on Attorney Brian Lenahan, click here. * Full information on Super Lawyer selection criteria can be found here. Selection criteria for Best Lawyers can be found here.